Craftsman 9 gal. Corded Wet/Dry Vacuum 8.3 amps 120 volt Red 16 lb. 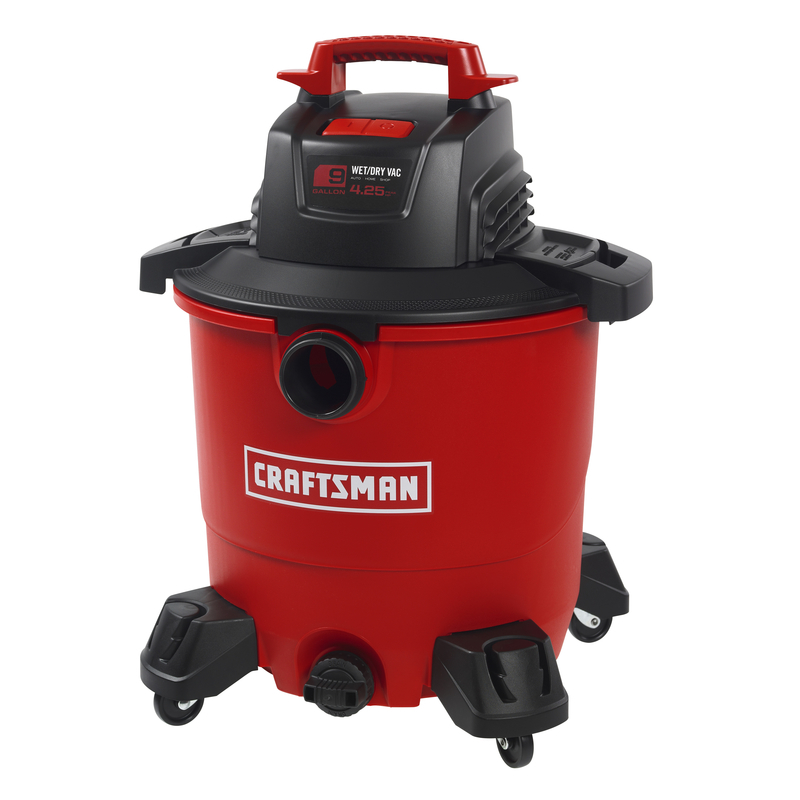 This Craftsman 9 Gallon Wet/Dry Vac, featuring a powerful 4.25 peak HP motor, is the ideal solution for tackling medium to large cleanup projects around the house. Like removing cold ashes from the fireplace or grill, picking up Christmas tree needles, basement cleanup from seepage or backup, as well as, removing water from clogged sinks. On-board hose, accessory and power cord organizers eliminates unneeded hassle and reduces overall storage space. Equipped with an extra-large drain, it’s quickly empties the tank of liquids.